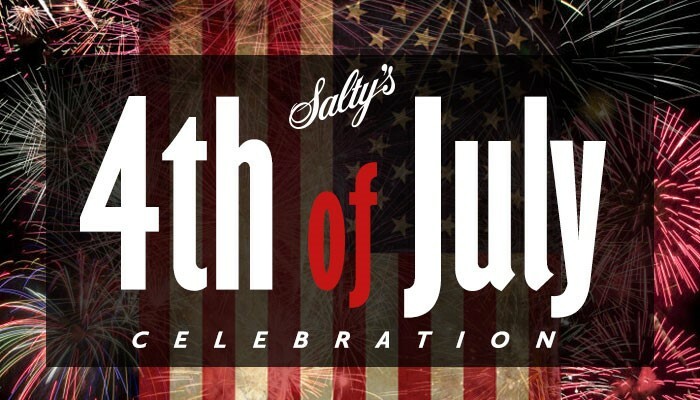 You are cordially invited to join us in celebration of Independence Day at Salty’s on Alki Beach with glorious views of the Seattle cityscape over Elliott Bay. Chef Paolo and his team have created a special menu that celebrates summer in proper fashion. Locally sourced vegetables, seasonal fruits, artisan breads from Georgetown, Fresh Alaskan Salmon, and some of the finest smoked meats from Pecos Pit BBQ. Enjoy live Music by the True Romans from 11am-3pm. For Dinner, try our fresh salmon dishes like the traditional Cedar Plank Roasted Salmon or our popular Seafood Cioppino.